Place of birth: New Orleans, Louisiana, U.S. Looking at Master P today with his net worth estimated in hundreds of million dollars it is hard to conceive that he once was a little hungry boy from New Orleans’ Calliope Projects known for its bad neighborhood. 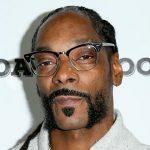 His parents divorced when he was very young and Master P, or Percy Miller, and his four siblings were raised by his father. Later Master P would remember how his stomach was literally cramping from hunger. Things didn’t get better as he grew up. Nobody in the family could find a job, including Master P, however young Master P was entrepreneur at heart and, despite his young age and no previous experience, he eventually decided to create his own job. His very first venture was about selling cellphones throughout New Orleans. When Master P was was two years into business studies in Merritt Junior College in Oakland, California, he received $10,000 as malpractice settlement which was awarded him due to circumstances surrounding the death of his grandfather. Armed with only $10,000, two years of business studies and some personal experience he founded a recording label which he named No Limit Records. We hear a lot of stories of struggles and eventual victory, which is somewhat soothing to our hearts, but Master P record label took off right away. Master P sensed that there is unfulfilled demand for gangster style rap music and decided to fill that gap and it worked. Later on Master P went on and recorded his very own album. Despite huge success of his record label and his own albums Master P didn’t rest on his laurels. His survival instinct told him to spread out by getting into new ventures of different natures. This way, Master P reasoned, if one business goes down another one will carry him through. He ventured into film industry, personally producing a documentary film which brought him enormous profit, and opened a sports management company. His other businesses include clothing line, gas station and book publishing. In recent years Master P became more of an activist than a rapper. He opened several youth centers called P Miller Youth Centers that aim to educate and counsel underprivileged teens. Being urgent, bold and flexible is the key to Master P success. Despite master P net worth is $350 million he never allows himself to relax or spend foolishly. Find out who is the richest rapper ever. Allen Iverson Net Worth – Broke or Multimillionaire? 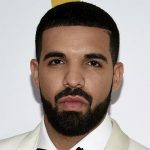 Drake Net Worth – Be Careful What You Wish For!